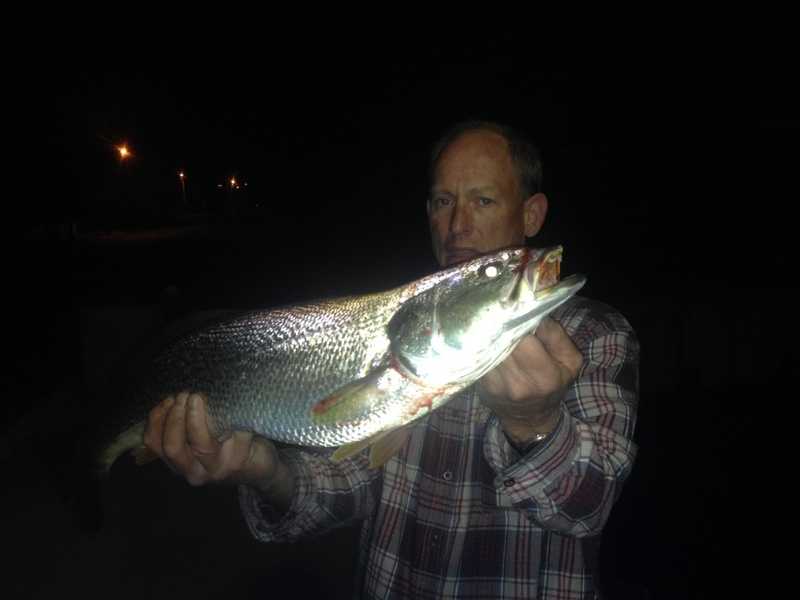 A 2015 tide-runner weakfish. 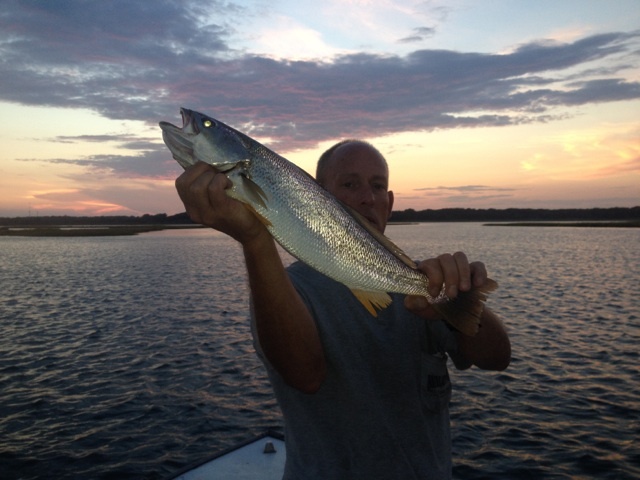 The author caught this one during an evening tide. 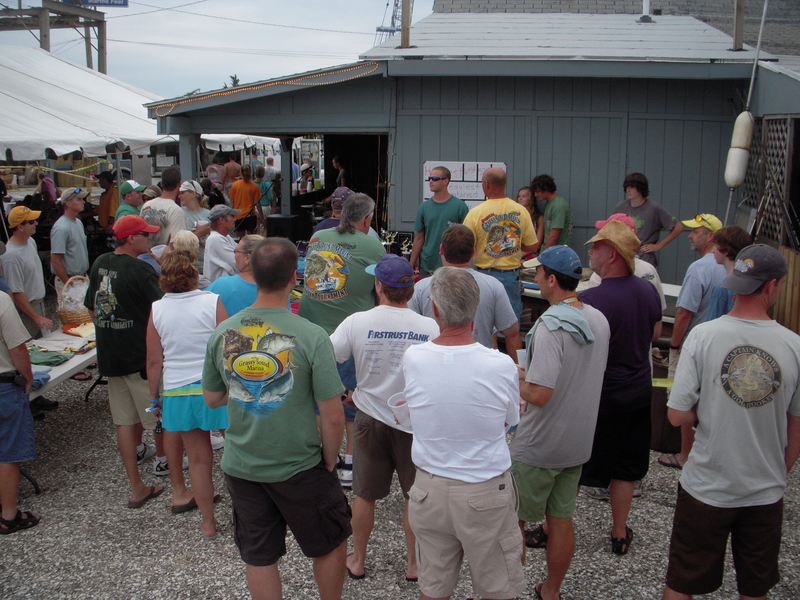 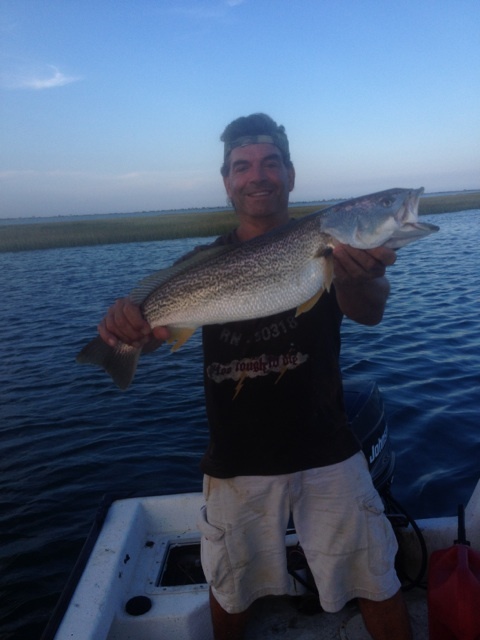 Cj and his Fisherman magazine tournament contending weakfish. 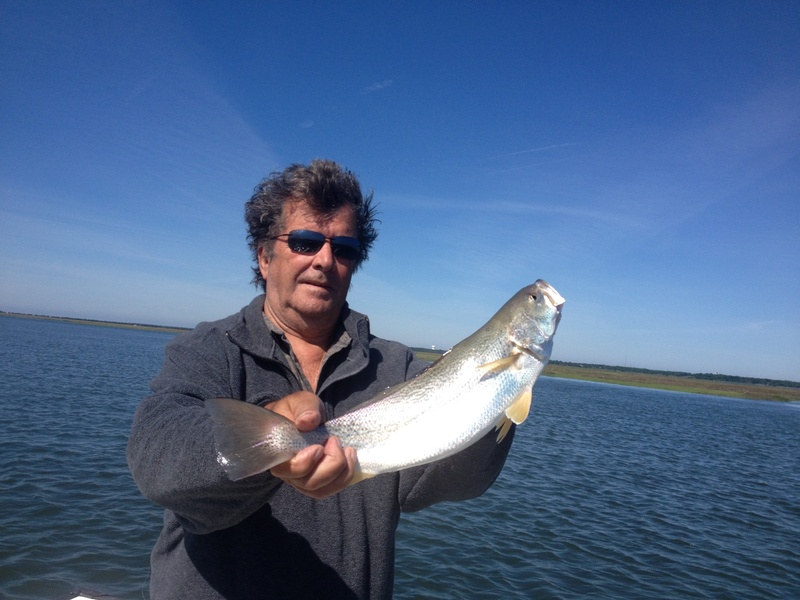 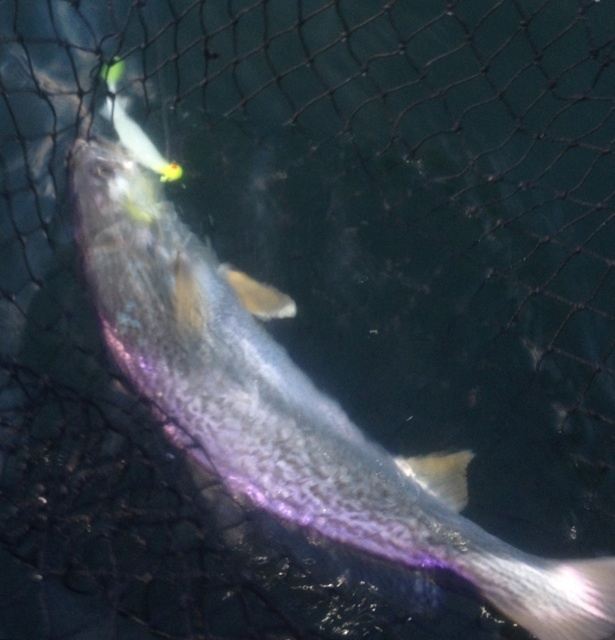 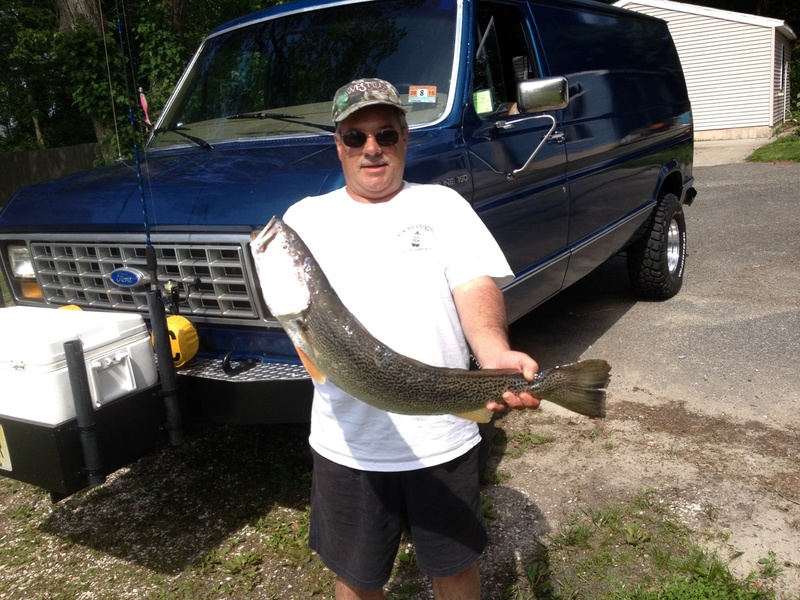 Bill Collins and his tournament contending weakfish. 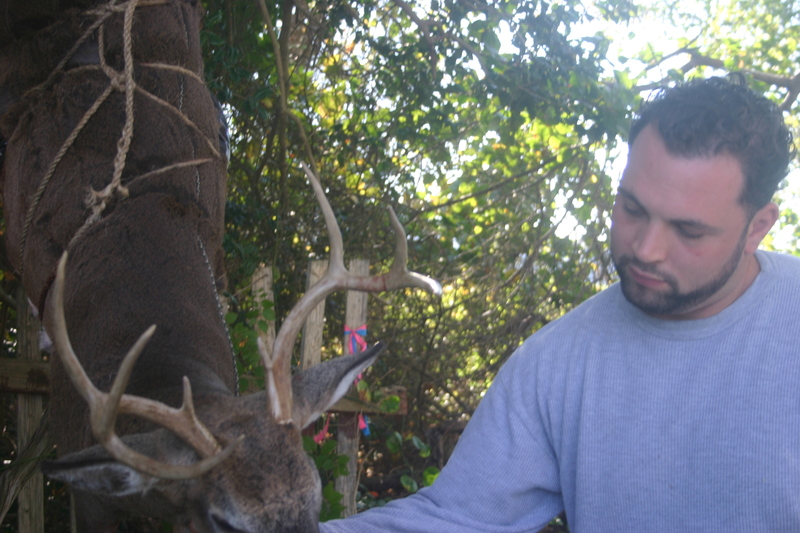 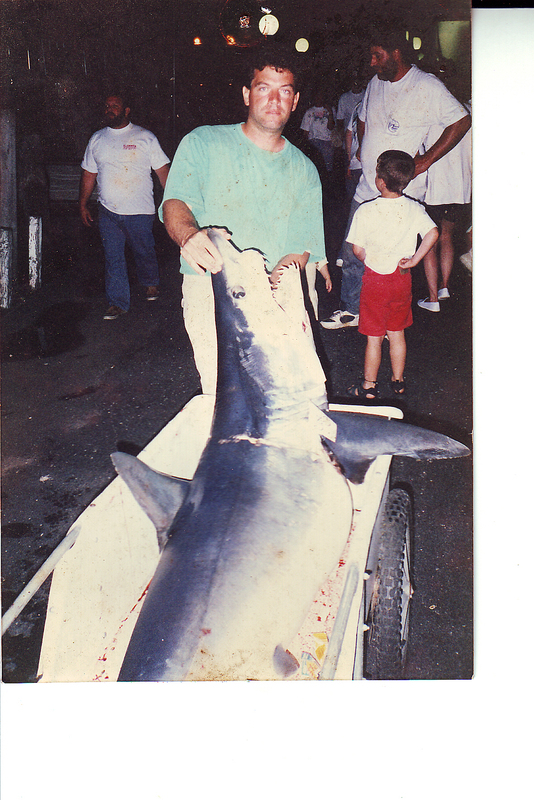 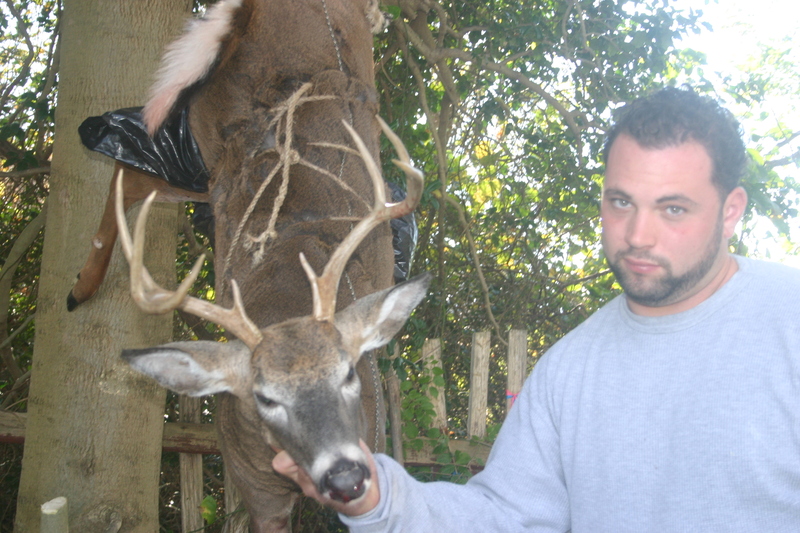 The author gets a picture, before the release . 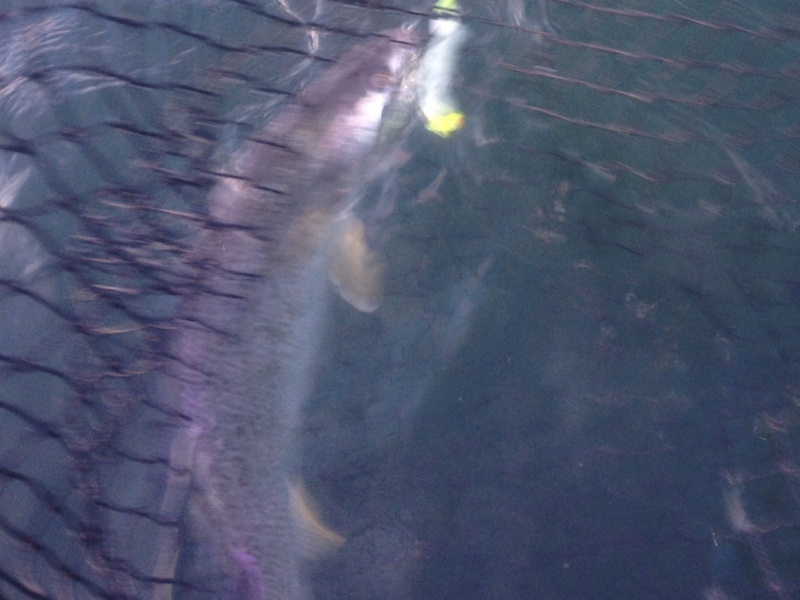 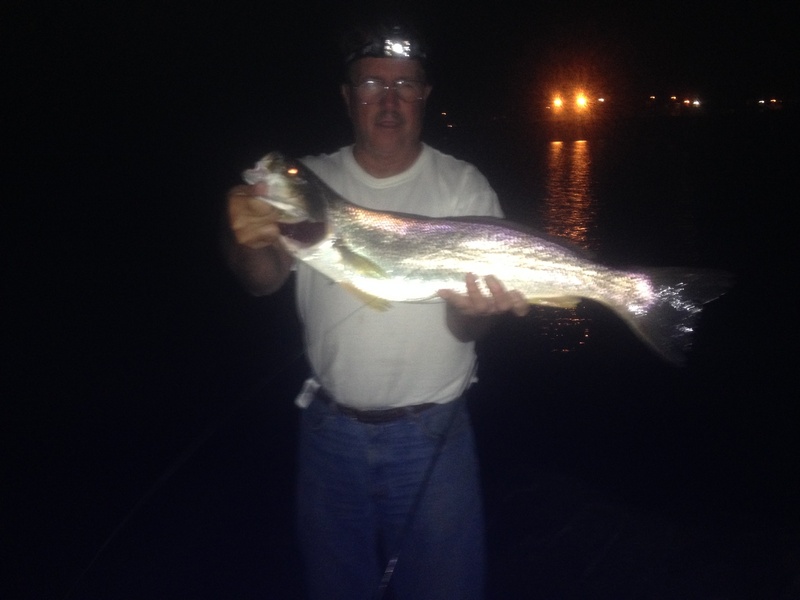 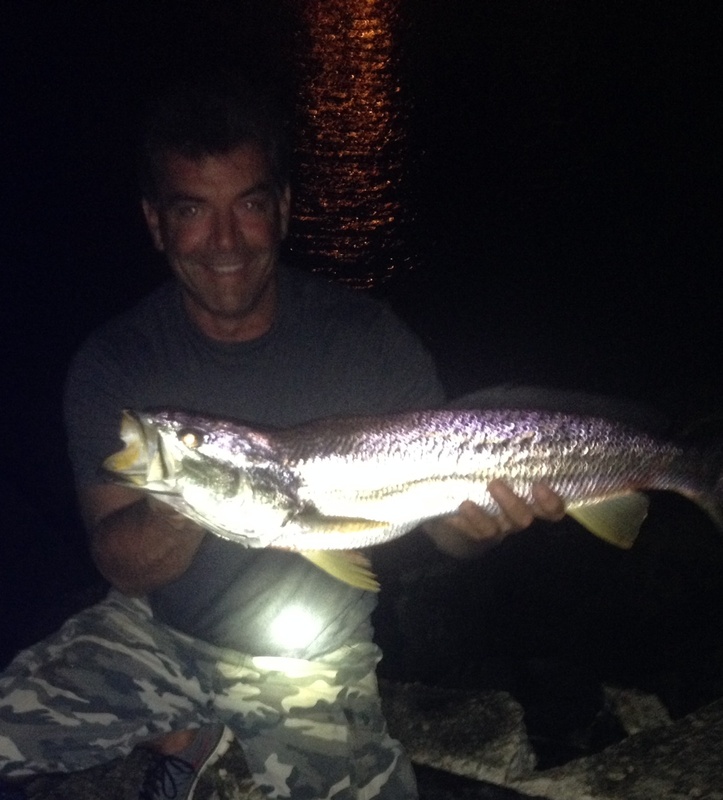 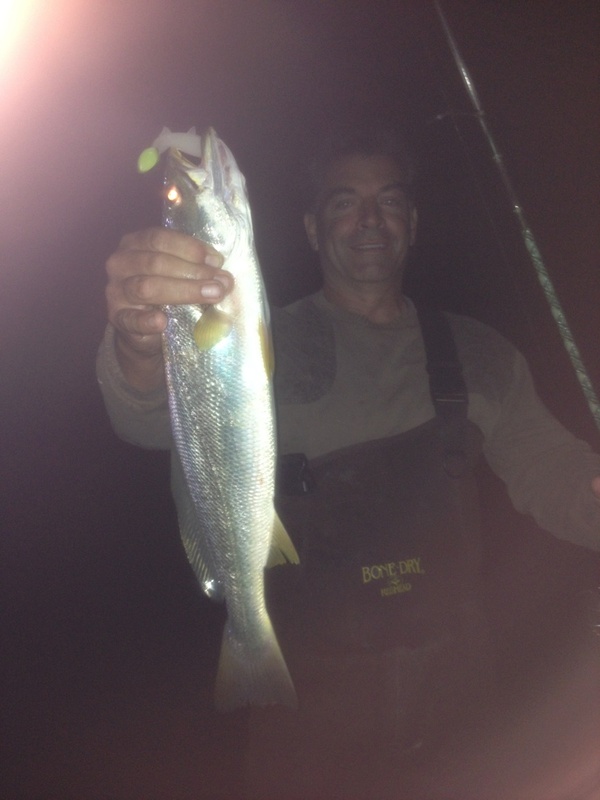 A summer night weakfish before the release.